I've never completely understood why Deutzia don't get more attention. Homeowners sprucing up their yards and Avid gardeners alike seem to ignore them. Some can get somewhat large (6-8' tall and wide) and they require some annual pruning maintenance post-flowering to look their best; but so does Physocarpus, and all varieties of that fly off the shelves. 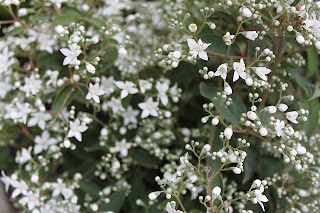 Deutzia generally have multiple seasons of interest. They are heavy bloomers, usually in late spring here, with white to pink flowers that last for weeks. Foliage is attractive, generally pest and disease free, and dear resistant. Fall color is often quite good, turning shades of burgundy or plum. Many varieties are hardy to at least zone 5, though some twig dieback can occur. After flowering it's beneficial to remove old ugly stems to keep plants looking best. Deutzia is tolerant of many soil types including clay soils, as long as soils aren't too wet. So what Deutzias do I like? Most of them! A couple of years ago I picked up D. gracilis 'Nikko Dawn' when Asiatica was shutting its doors. This is a wonderful and beautiful variegated selection of 'Nikko'. It will stay compact just like 'Nikko', in the 2' tall x 3' wide range and seems like a pretty good grower. I just stuck a bunch of cuttings, hopefully a good percentage root and we can offer them for sale next season. Rare Find offers this as 'Nikko Variegated'. They also obtained it from Asiatica, not sure why the difference in name. Spring Meadow nursery has introduced a very similar variety to the Proven Winners line called Crème Fraiche™, it should start showing up at garden centers next year. Speaking of Proven Winners, a number of years ago they introduced a beautiful golden form of D. gracilis called Chardonnay Pearls™. 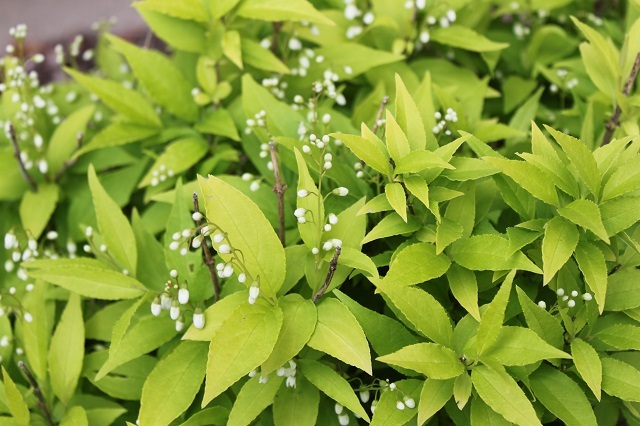 Bright gold foliage, white flowers, compact 2-3' tall and wide habit all in a plant for partial shade sounds like it should be an easy sell. Gardeners don't seem very excited about it though and it seems to sit on the retail bench. Mine have performed beautifully and are currently ready to explode into bloom. Fall color is a beautiful burgundy. 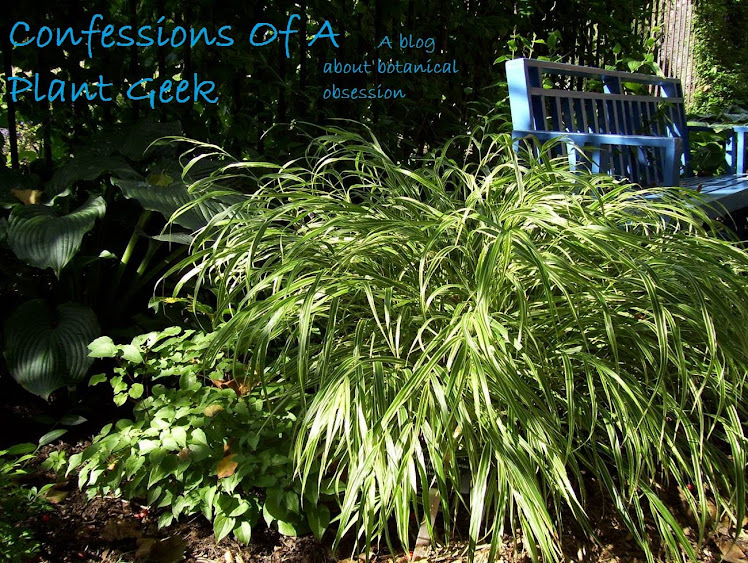 I need to trim a little twig dieback off every spring, but they fill in nicely. I have four of them, that alone should give you an idea of how I feel about this variety. 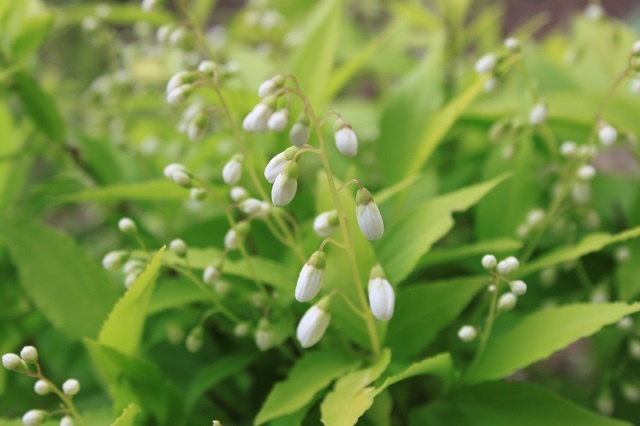 My most recent purchase in this wonderful genus is Deutzia setchuenensis var. corymbiflora. Despite being known in horticulture since 1895, this is not well known in gardens. I first encountered it last year when we got some in from Monrovia. They were so heavy with blooms, you could barely see any foliage. They arrived again this year and I picked one up immediately. This one is a little bigger, reaching 4-6' tall and wide. Most of what I read says summer flowering; Missouri Botanic Garden however has a flower chart showing it to be in bloom in May and June. Time will tell what the average bloom season is for Wisconsin. I will try to root cuttings of this one as well. Deutzias need more love! If you're out plant shopping and spot one of these beautiful plants, pick one up and squeeze it in somewhere. Trust me, your landscape doesn't need another spirea!